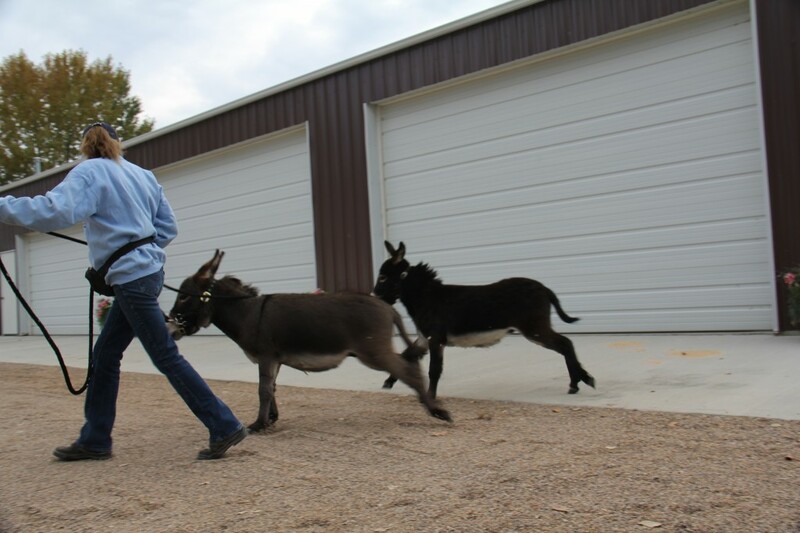 Spuds and Augie had a very special adventure this week. 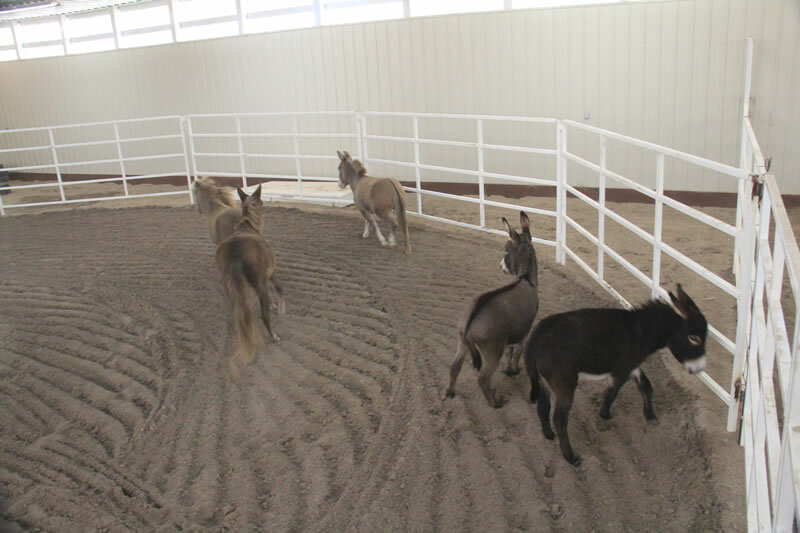 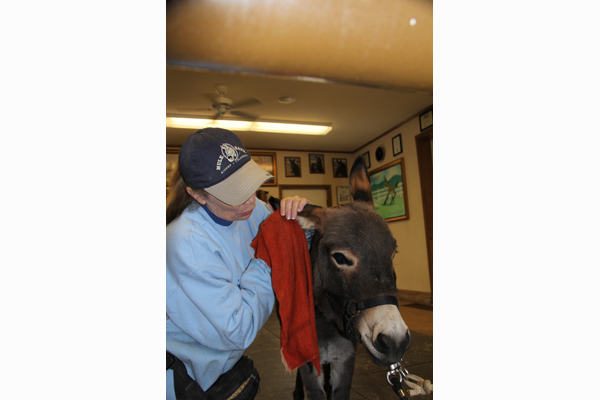 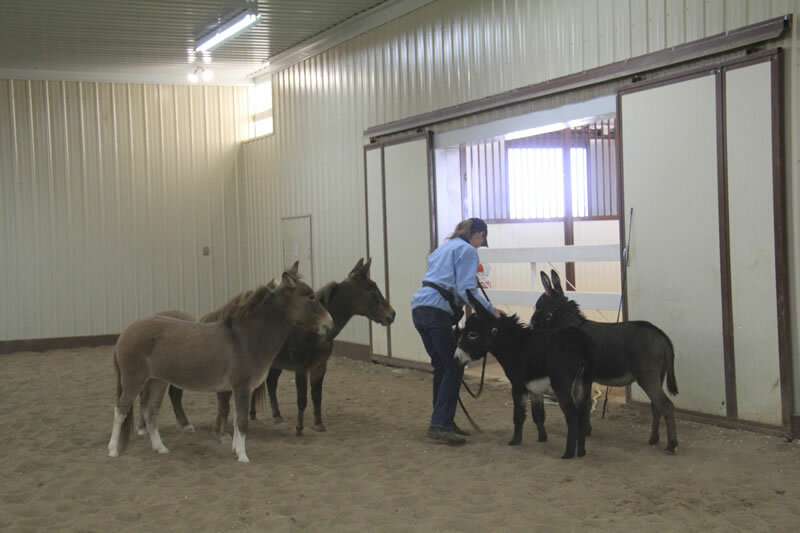 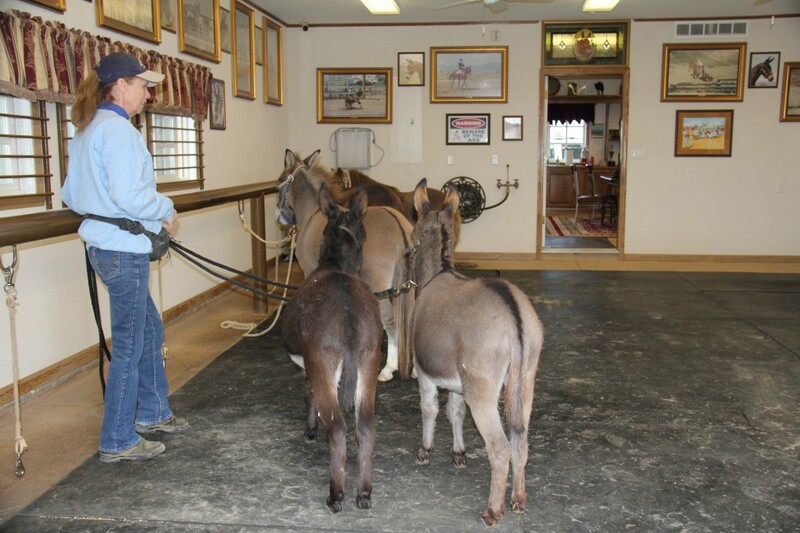 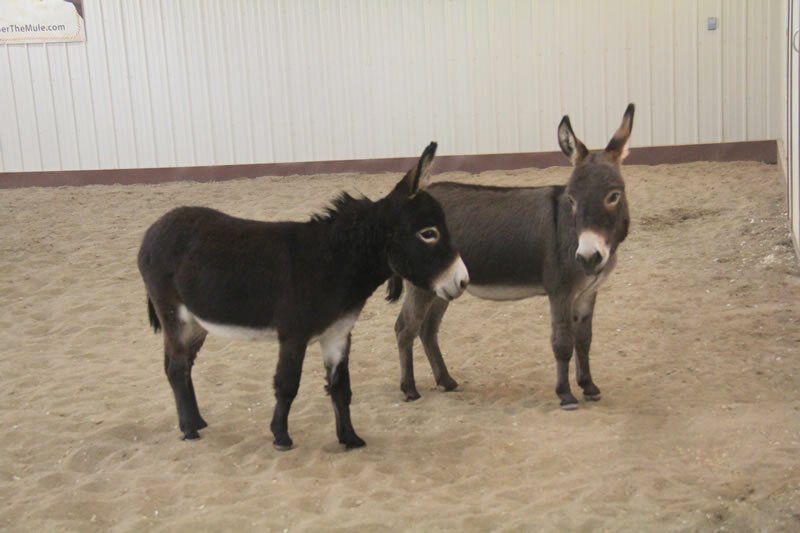 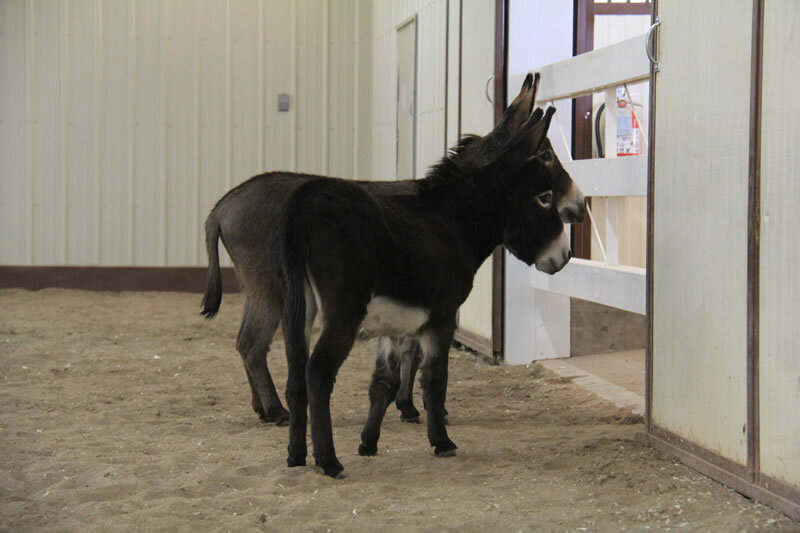 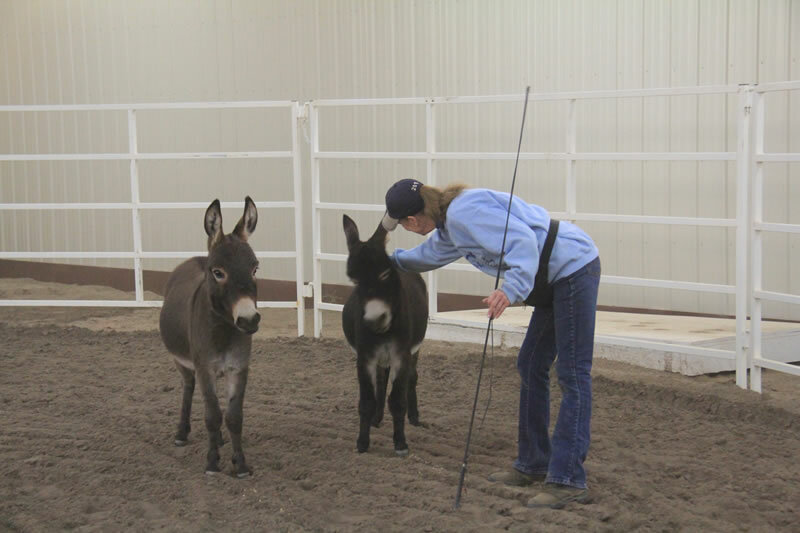 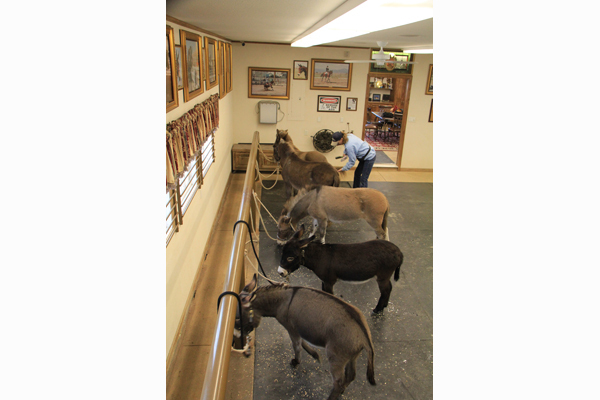 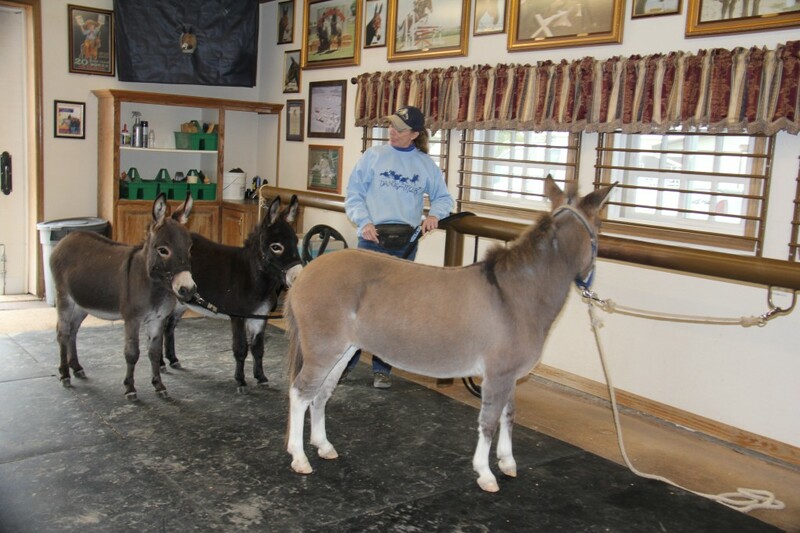 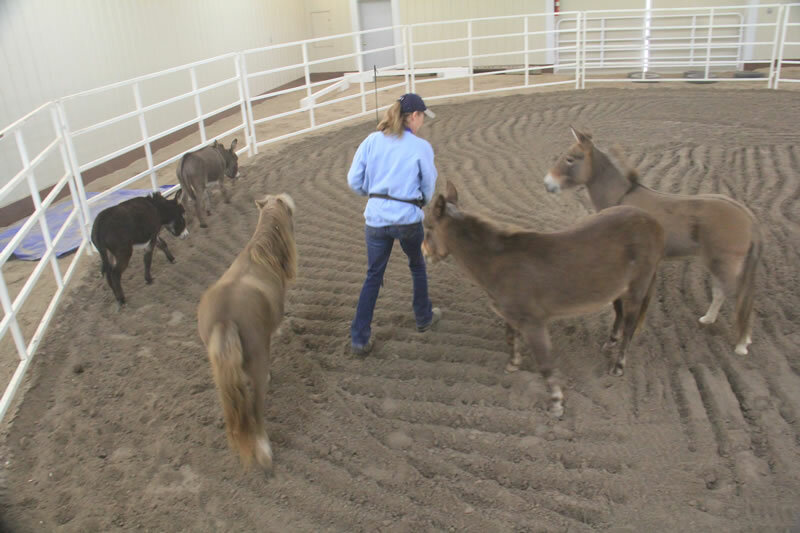 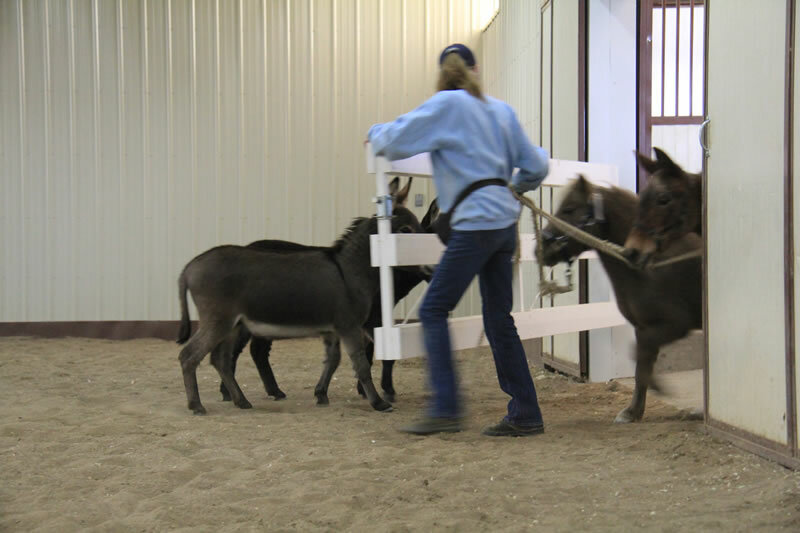 Though the two mini donkeys have been getting along with each other and the mules in the neighboring stalls, they’d never met the other “minis” on the ranch—Frances, Franklin and Mirage. 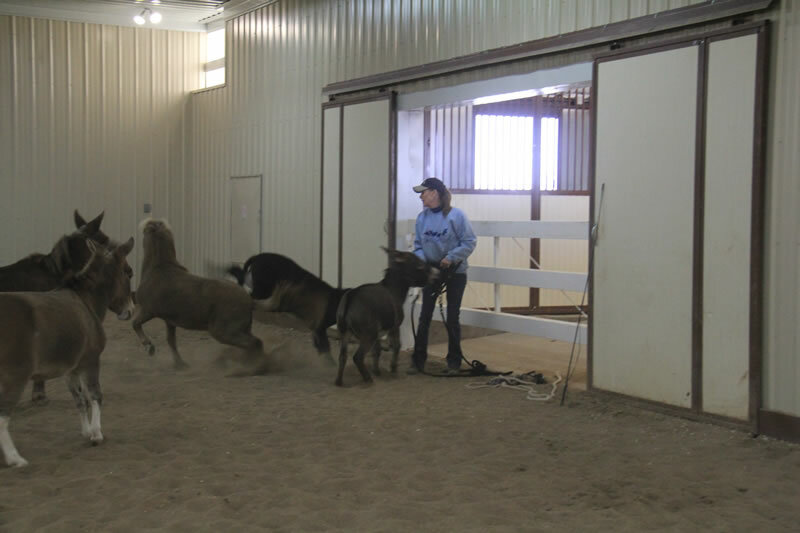 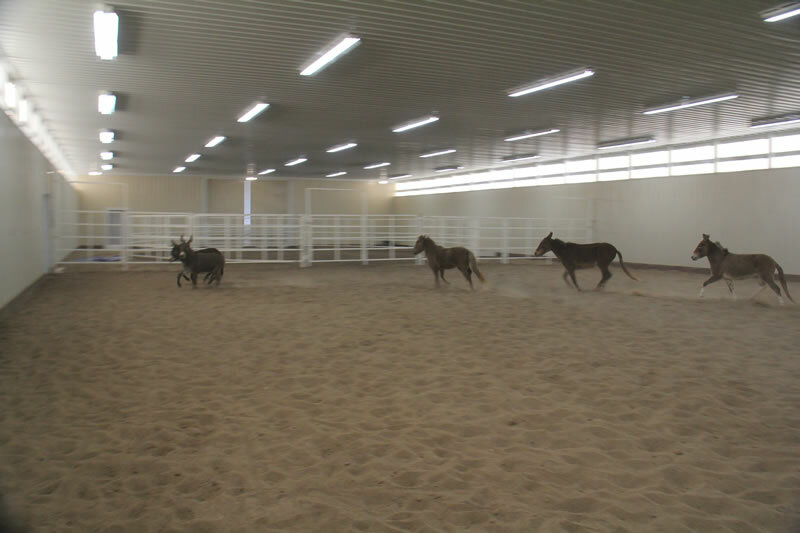 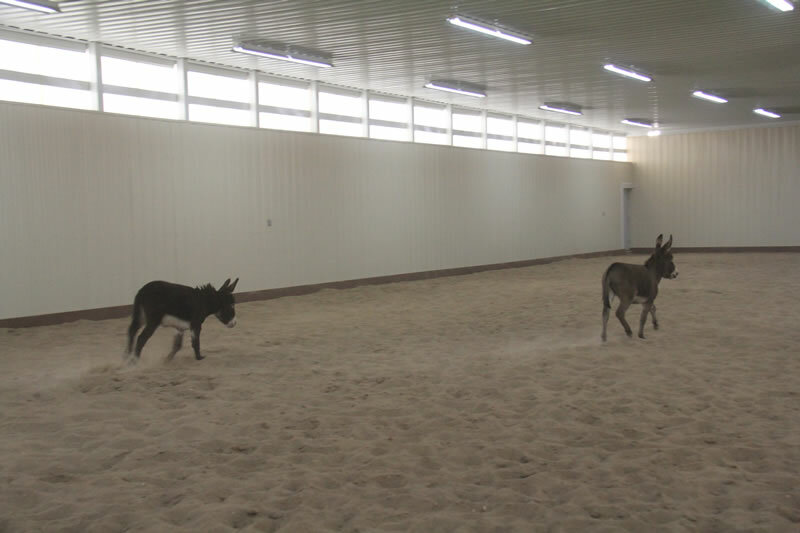 That changed today when they all came out for a playdate in the indoor arena. 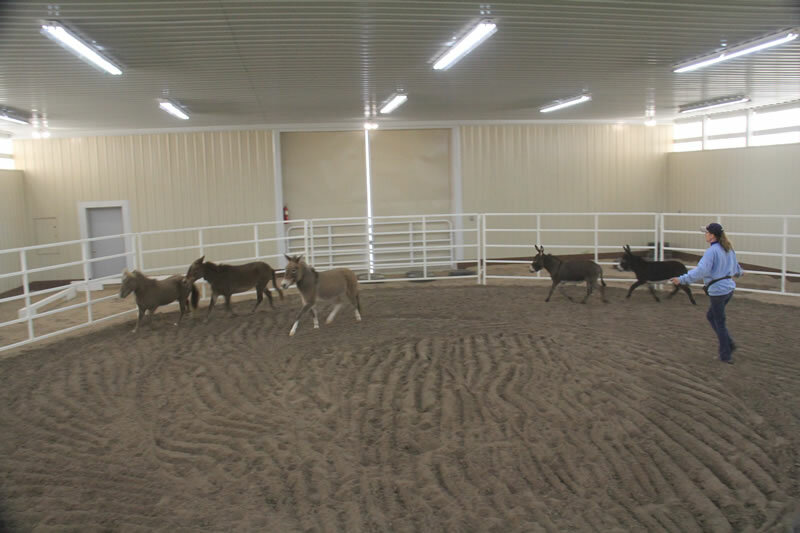 Seeing all these little guys working together really proves that size doesn’t matter!